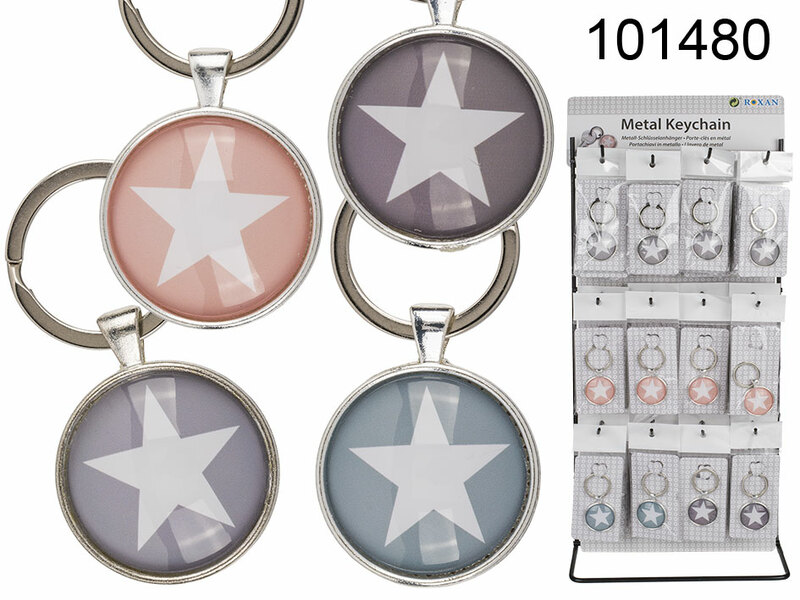 Small and handy keychain with popular star symbol. Decorative item for a backapack or a bag. Casual promotional gadget for everyone. Dimentions of the keychain: 6.5 x 3.5 x 0.5 cm. When buying 48 pieces display stand is free of charge. Several colours available - assorted. Sold in cardboard packaging for hanging. Size: 9.5 x 5 x 0.5 cm.